LOCAL Government Secretary Eduardo Año ordered the Philippine National Police (PNP) leadership to issue a memorandum that will ban the policemen from drinking in bars, nightclubs and public places. “Si Presidente na mismo ang nagsabi na bawal na uminom ang mga police sa mga bar, pub at mga kalsada. 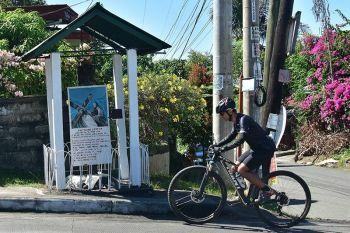 Kasuhan ninyo agad ang sinumang lalabag dito,” he said. 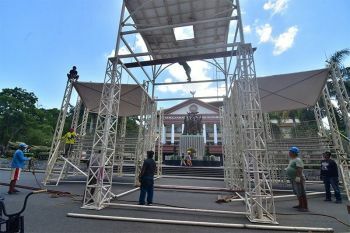 Año was referring to the warning made by Duterte during a Department of Interior and Local Government (DILG) event in Pasay City on Tuesday, January 8, to policemen and soldiers against drinking in public places. Duterte said cops and soldiers usually get into a fight over a microphone. He said that he once beat a drunk soldier and a policeman inside a hospital in Davao after shooting each other. "Kayong mga pulis, I’m warning you, do not drink in public. Sa Davao pinagbawalan ko yan pati ngayon. All over the Philippines. Do not enter into drinking places. Kasi wala kayong gawin pag-lasing na, kayo ang tigas. Pati Army. Wag na magdala ng baril," Duterte said. "Kasi itong Army pati itong pulis, isa rin itong.. Mag-agawan ng microphone, 'My way...' Sabi naman nitong pulis na g***, 'Hoy, tama na kayo diyan, p***** i**, yabag ka diyan.' ['Yung isa naman], 'Ano sinabi mo?' Magbarilan na ang p***** i**, g***," he said. Año said he expects the senior officials of the PNP, from Police Director General Oscar Albayalde down to all chiefs of police in all cities and towns, to lead by example so that their men will follow. 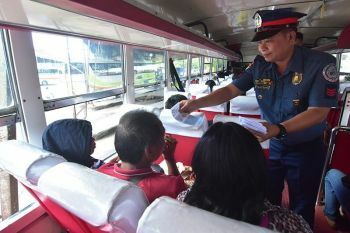 But he said the police can instead opt to drink alcoholic beverages in the confines of their homes or private households so as not to taint the image of the PNP. “President Duterte is right, people lose their respect and trust in policemen and the entire PNP as an organization when they see drunken policemen in public,” he said. “Nakakahiya at masagwang makita na may mga pulis na nag-iinuman sa publiko (It's not good to see policemen drinking in public places). The job of the police requires the respect of the people, therefore they must do what it takes to gain and maintain public trust,” he added.